IPNY (formerly Interplanetary) is a communications agency developing brand advertising, direct marketing, engaging digital and social media, and fully integrated multimedia campaigns. We don’t work on cars, jeans, diet soda or other consumer products. We do the hard stuff: financial services, healthcare, nonprofit, and so forth. We work with marketing leaders in complex categories to solve their brand-growth challenges and help drive bottom-line quantifiable results. 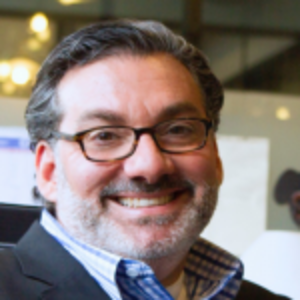 In 2012, Joe joined with four former colleagues to start IPNY, a communications agency that grows businesses both creatively and measurably, and the partners are skilled in both persuasion and conversion. To date they have created brand launch campaigns for City of Hope Medical Center, The Leukemia & Lymphoma Society, WNET THIRTEEN, First Amendment Museum, Astoria Bank, E*Trade, Fisher Investments, the Weizmann Institute and the Alliance for Cancer Gene Therapy. Joe’s diverse client-side experience at KPMG, Verizon and The Gap, coupled with his broad advertising agency knowhow from years at the largest firms from Ogilvy to Euro and McCann, gives him a unique, holistic perspective. Joe’s agency experience included over a decade at Ogilvy, where he was Managing Director, Senior Partner and oversaw the 360-degree management of the TD Ameritrade account. He was responsible for brand development and new account acquisition across online and offline media. Prior to Ogilvy, Joe’s agency career included overseeing accounts and delivering a range of services that incorporated digital marketing, brand development, acquisition and retention programs, online media and branded content, across an array of industries including financial services (Bank of America, Fleet Bank, New York Life, Wells Fargo) and telecommunications (AT&T, Sprint). Joe is a recognized marketing strategist and client advocate through and through. Clients refer to him as a “trusted advisor” because he speaks their language, takes the time to learn their business and likes nothing more than delivering marketing campaigns that work. He successfully led global client engagements for Fortune 500 brands and worked closely with CMO’s to deliver tangible results. If it’s a client, I want them to feel that all the partners care about them personally, care about their business succeeding, and most importantly that they receive value from working with us. Someone taught me very early in my account management career that, “their perception is your reality.” When it comes to talking with prospective clients I’ve learned that as much as they want and need to learn about our agency, they are most interested in our passion for their brand and category, and when we get them excited about both, it’s always a win. 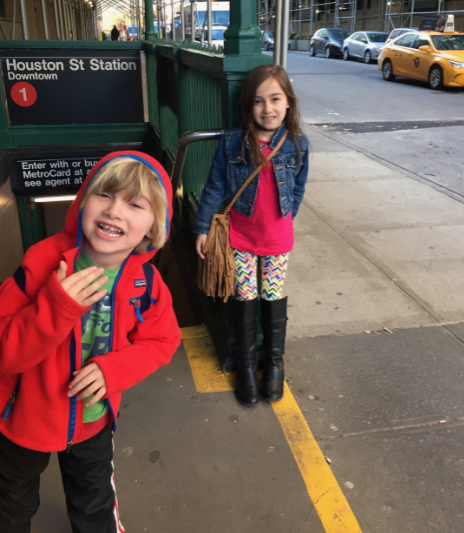 I took the kids into the city to work with me since school was closed. Great day! I’ve lived in New York, Philadelphia, San Francisco, Los Angeles, among others, and without a doubt NY is my city. I get nostaligic every time my flight lands at JFK. I enjoy being in the city. I feed on the energy and love the glimpses of people who have lives truly different than my own. A homemade berry smoothie with a handful of spinach and a dash of cayenne pepper – in my kitchen with my wife and kids as we are all getting ready for school and work. 6:00 AM – Sleeping. I’m a night owl. But it means allowing myself to sleep in. It’s one of the reasons I love being one of the founding partners of our agency. We are committed to flexiblilty, allowing each of us to work in a way that’s personally most productive. 10:00 AM – Usually around 9:30am I set a list of the three most important things I want to accomplish that day. So at 10am I’m probably tackling the first of the three. 12:00 PM — Favorite lunch spot/meal? I love having lunch with a client. Maybe it’s a power lunch spot, or grabbing something from their company cafeteria, or just a sandwich in a conference room. The location doesn’t matter. Often there is plenty of business talk but there is also time to get to know each other better as people. I always learn something important. These lunches don’t happen nearly as often as I’d like them to. 7:00 PM – I’m a night owl, as I mentioned, and I hit my productivity stride around 3pm and it runs as late as I allow it to go – sometimes into the wee hours. Though with young kids at home I try to pause the work energy rush and focus on them from 7-9pm. 11:00 PM – I have built a fantastic combo home office–workbench–den set up in the back of our strangely long garage. It’s become quite a space – the quintessential rustic old-style “man cave.” On weeknights after my kids are sleeping you can usually find me in there listening to music a little too loudly and getting my own work done. I like to sip a cup of plain old homemade coffee from bed as I scan emails and listen to Alexa reciting my daily news flash. Lately I also enjoy a pre-lunch nonfat cappuccino. It’s tasty and slightly indulgent. Then it’s water for the rest of the day. A nightcap can be nice but that only happens once a week or so. Well, the iOS ScreenTime feature tells me the Yahoo Fantasy App has been my most used App over the last 7 days. My 7-year old son and I are in a local father/son league. It’s been a ton of fun spending time with my son and seeing how adept kids are with all kinds of gaming. Driving across the country. When I moved from SF back to NY in 2004 after a 7-year stint on the West Coast leading up to and through the Dot Com boom and bust, I decided to “come home” to NY. Some of my favorite people joined me on the three-week journey for different legs of the trip. A close old friend from college, my sister, my mother… It was part visiting family, part partying, part feeling the diversity that is this country. A hardware store. My kids think I’m crazy because I always want to try to fix anything that breaks. I’m a tinkerer. Having lots of specialty tools and items stashed away from hardware store runs always helps. It’s a handy hobby when things break in the middle of the night!